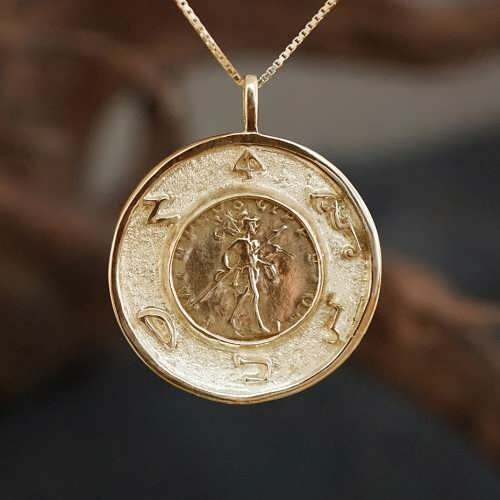 The Mars in Scorpio New Talisman Limited Edition was Assembled on February 14th 2016 between 5:10 - 5:54 AM GMT+3. 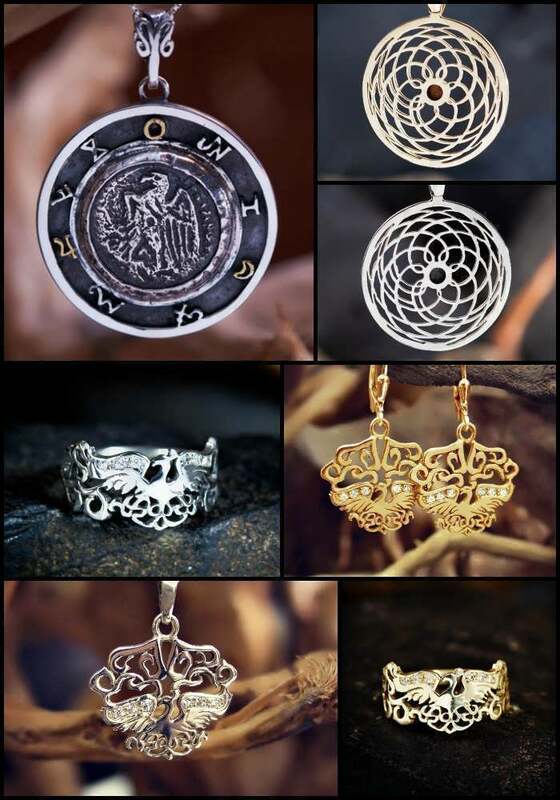 It is A powerful Talisman for rekindling passion and active persistence in one's authentic desires and actions In life. 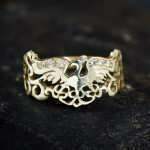 Designed for piercing Inner vision and occult powers for the wearers. 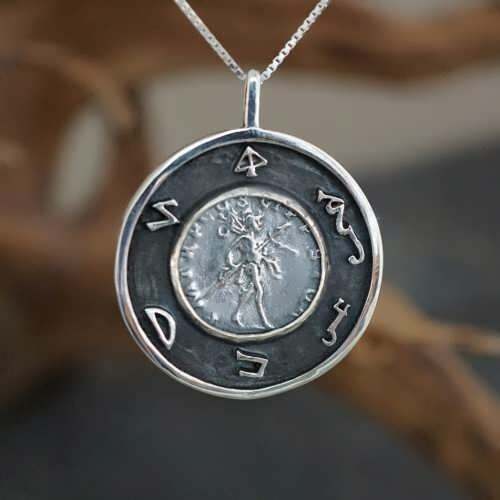 The center of the Talisman is a Replica of an Ancient Roman coin with the image of Mars on it. Around the center are the the magic alphabet of Mars taken from the writings of Cornelius Agrippa (1486-1535) who was the most influential writer of renaissance esoterica. 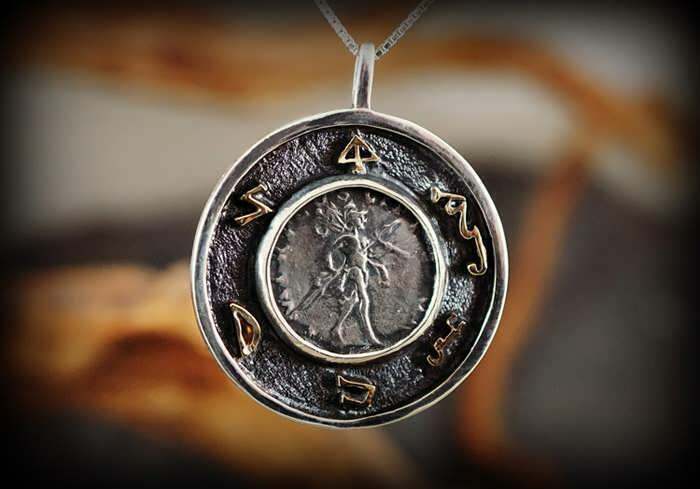 The Talisman was made when Mars is in its eastern visibility, in a very strong phase to the Sun, while he was also conjunct the Midheaven and the Lot of fortune and In an exact Sextile (harmonies connection) to Jupiter. Also The Moon at that time was in the beginning of Taurus (its Exaltation Sign). Mars, the planet of focused energy and active power, had entered the sign of scorpio in early January, where he will be for the better part of the year (after he moves into Sagittarius he will retrograde back into scorpio). Mars rules the signs Aries and Scorpio, which reflect different sides of its nature, Aries is much more outgoing and energetically expressive, while Scorpio is more emotionally deep and intense. Traditionally Mars is considered a nocturnal planet, and he prefers his nocturnal Sign Scorpio where he is said to express his more refined qualities. In Scorpio Mars is able to focus and direct emotional energy like no other planet (except maybe pluto). In Scorpio he is strong willed and in control, he is passionate and extremely motivated to what his heart desires. In contrast to Aries, the Scorpio Mars is much more coherent and stable, he expresses a deep inner creative power, and occult insight into the secrets and motivation behind people and phenomena. Mars in Scorpio has a powerful ability to stay engaged and build an intense emotional fire that can get anything done. This is a Very sexual and magnetically attractive energy, which can summon very deep and intensely fulfilling interactions and experiences. This energy also radiates a “don’t mess with me” protective Aura that can deflect energy intervention and emotional attacks, this is why it is considered a powerful protective Talisman In the ancient Tradition.